I came to the desert looking for sunshine, pools and palm trees, but discovered a world of sleek, mid-century modern design that gave me a new appreciation of the unique architecture of Palm Springs. 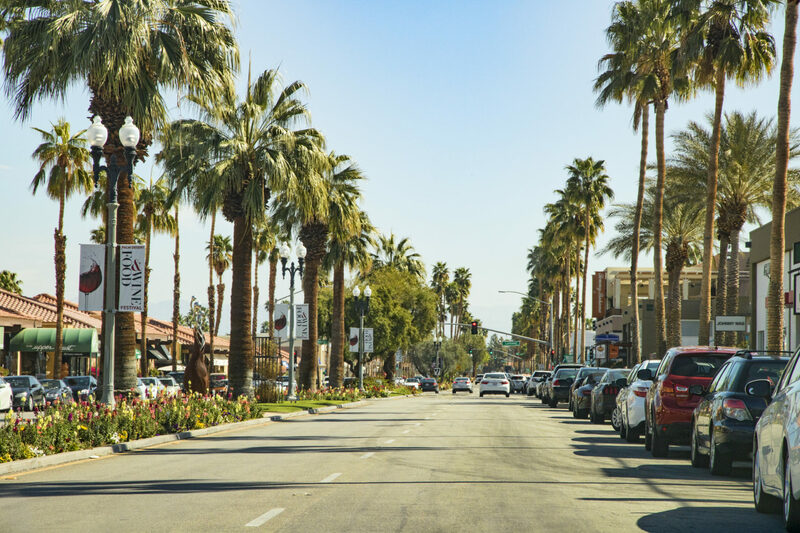 When I first visited Palm Springs, I was in vacation mode: soaking up the desert sun, exploring the natural wonders of the area and sipping frozen date shakes to beat the heat. But while you’re there, it’s hard to miss the swooping arches, soaring angles and undulating walls that add a Jetsons feel to the Coachella Valley — and I left feeling curious about the unique design of the desert. During my next visit, I happily discovered that my winter break coincided with Palm Springs’ Modernism Week, an annual 11-day festival of all things mid-century modern. It was the perfect introduction to the “mod” world of Palm Springs, including many icons I had spied from afar but hadn’t yet identified: the pink-hued Sunnylands Center, Frank Sinatra’s glass-walled Twin Palms and the boxy Kauffmann House. Plus, it was a great time to browse all the cool furnishings and art stores I’d been ogling in upper Palm Springs. The next Modernism Week runs from February 14 to 24, 2019. Can’t make it in February? Visit during the shorter fall preview, which takes place every year over a long weekend in mid-October. What is mid-century architecture and design? During the festival, I discovered that mid-century design covers a period from roughly the 1930s through the 1960s, but mostly focuses on the 1950s (i.e., the middle of the last century). It focuses on clean lines, organic curves and lots of geometric shapes. It’s often referred to as modernism, modernist or mod design. 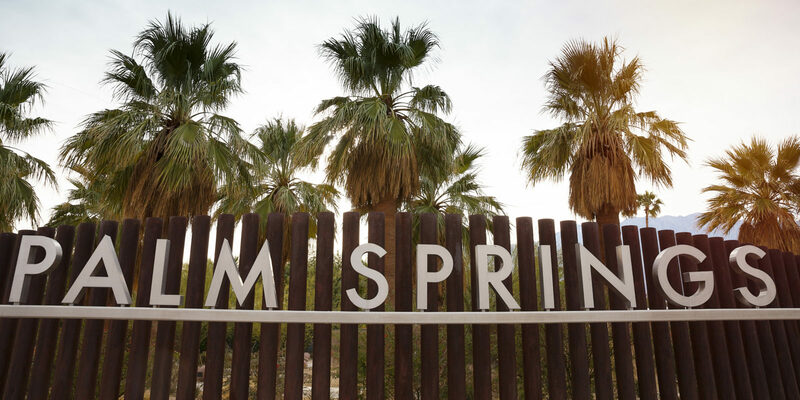 Palm Springs is basically the Mecca of modernist design in the United States; it was even named to the National Register of Historic Places for having the largest collection of mid-century modern architecture in the country. 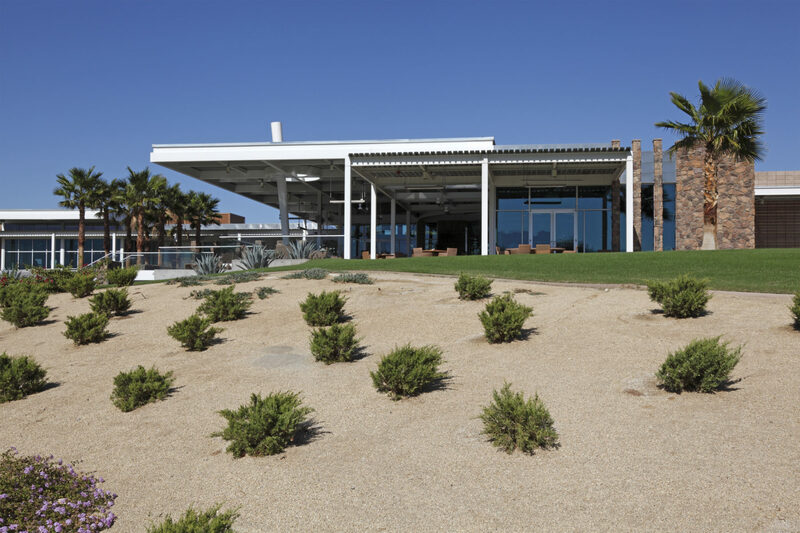 The blank canvas of the desert provided a perfect spot for modernist architects to design sleek homes that embraced the minimalist environment. To learn more, I headed to the Palm Springs Visitors Center, which actually occupies an iconic former Tramway Gas Station designed by Albert Frey and Robson C. Chambers. It sports a soaring, V-sloped roof that’s the epitome of mid-century design (I think it looks like a landing pad for a spaceship!). Here you can pick up a map of local modernist landmarks and learn more about mod art. I’ve always liked Andy Warhol and Jackson Pollack paintings, and I discovered that both these styles — bright pops of color, repetitive patterns and shapes, and abstract drips and splatters — are right in the mod design wheelhouse. If you’re visiting during the Modernism Week, visit the festival headquarters at CAMP (Community and Meeting Place) for an introduction to mid-century design. The Double Decker Architecture Tour: During this narrated tour, the top deck of the bus showcases great views of architectural icons, such as William Krisel’s House of Tomorrow, Richard Neutra’s Kaufmann Desert House and Frank Sinatra’s Twin Palms by E. Stewart Williams. 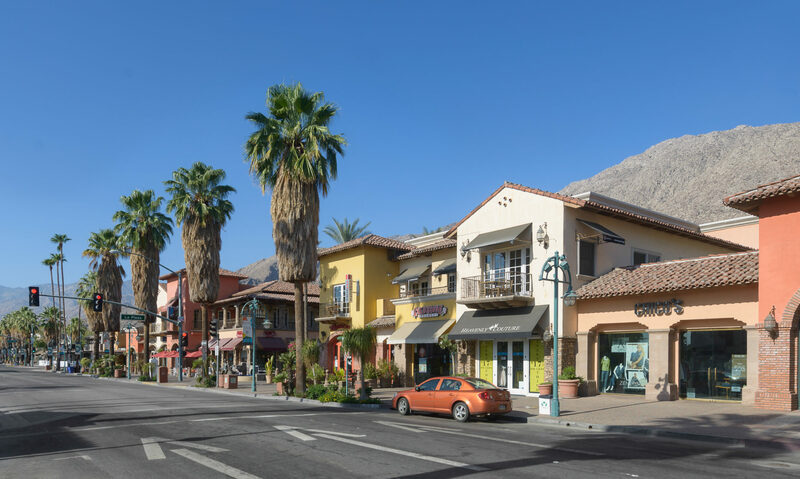 Palm Springs Historical Society Tours: These walking tours offered throughout the week focus on a variety of topics. The Icons of Fashion and Finance tour takes in the shops and mod offices of the finance and fashion districts, created by desert design stars. Meanwhile, the Rat Pack Playground tour explores the modernist residences and ring-a-ding-ding stories of the Vista Las Palmas neighborhood, which many celebrities called home during the 1950s and ’60s. The Palm Springs Convention Center turns into a mod shopping wonderland during the February festival, with dozens of collectors and vendors selling everything from chunky 1950s Bakelite bangles in bright Crayola colors to furniture that belonged to Rat Pack-era actors — rounded Eames easy chairs, amazing ceramics, and museum-worthy mod art. Of course, many of these unique items come with price tags to match; we’re talking tens of thousands of dollars for the more impressive furniture suites. However, with my newfound mod knowledge, I found affordable options at an art poster stand, where vintage ads for cars, perfume, champagne, wine and fashion covered the tables. I walked away with a black, gray and white, Pollack-esque poster for a Madrid soccer tournament, which now hangs proudly in my not-so-modernist home in New Jersey. It’s a fabulous reminder of my trip to Modernism Week and Palm Desert. Even if you’re not in Palm Springs during the festival, you can still learn about mid-century modern design year-round. 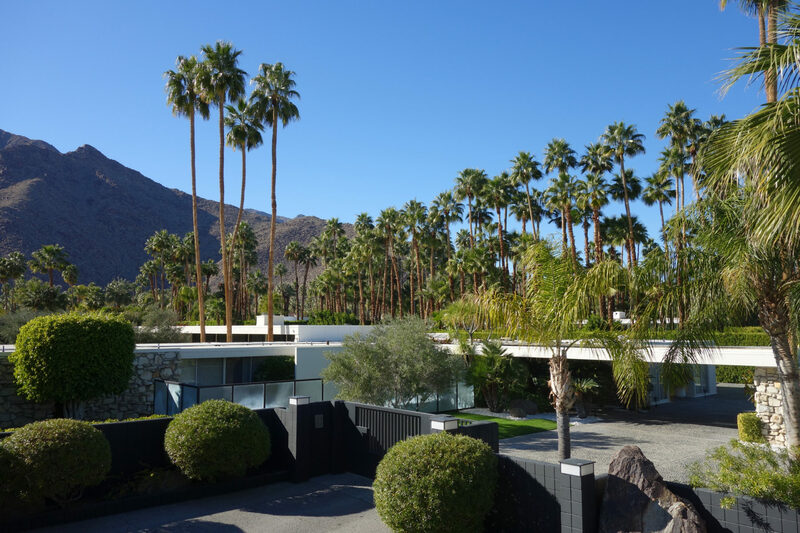 Highlights include the Palm Springs Architecture Museum, Walter and Leonore Annenberg’s spectacular Sunnylands Center and Gardens and William Krisel’s House of Tomorrow, which was Elvis and Priscilla’s honeymoon hideaway.